Part of the Royal Opera House , the Linbury Theatre was completely refurbished in December 2018 revealing, "a handsome new venue" ( Financial Times ) with a "warm, wood-lined interior" designed by architects Stanton Williams. Part of a three-year, £50.7 million programme of works, dubbed the 'Open Up' project, the Linbury Theatre - which seats up to 406 people - offers a smaller space than the main Royal Opera House stage. 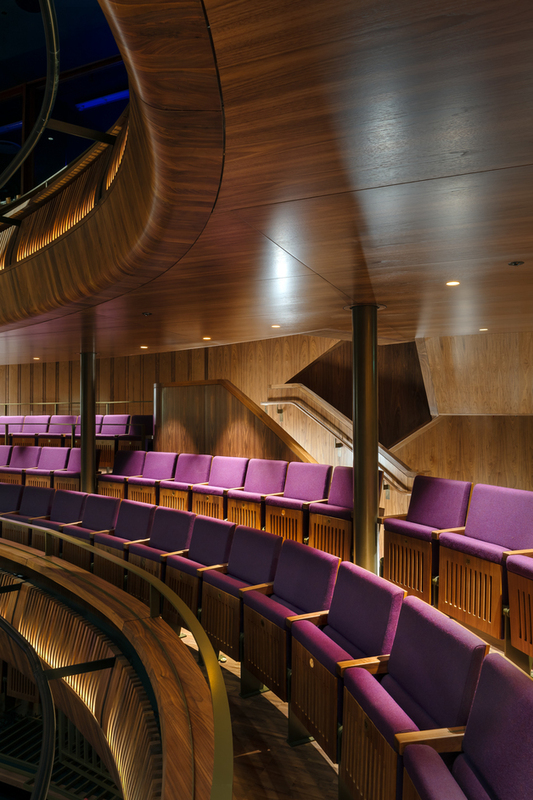 It provides an intimate theatre for The Royal Ballet, The Royal Opera and visiting companies - one where the acoustics can be adjusted to suit the scale and nature of the music performed. The inaugural season, which gives us a taste of things to come, includes works from the 18th century through to world premieres. What are the best dining options near Linbury Theatre London? Linbury Theatre gyms, sporting activities, health & beauty and fitness. The best pubs near London Linbury Theatre. Linbury Theatre clubs, bars, cabaret nights, casinos and interesting nightlife. Where to have your meeting, conference, exhibition, private dining or training course near Linbury Theatre.